BCC’s experience and dedication to quality made them a superior choice at the time of award. This was proven true many times during the construction of the project. 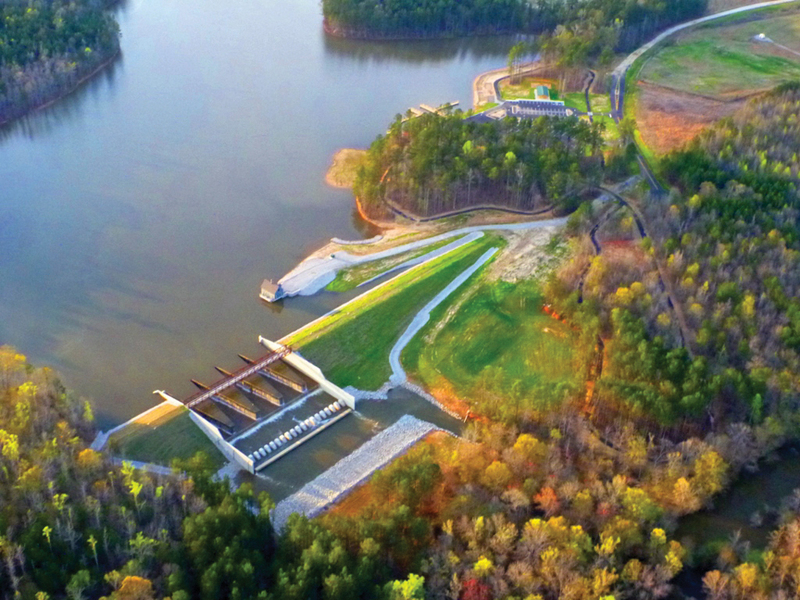 This project was the construction of a Category One Earthen Dam under the classification State of Georgia Safe Dams Program for Fayette County Georgia Water System and an approximately 650 acre water supply reservoir. Total excavation of 220,000 cubic yards with a surcharge of the dam site of up to 6 months.